Start with a simple heart shape . . . and end with a beautiful finished piece of art! You’ll love Jane Davenport’s fabulous, fun, and amazingly easy technique for drawing in-proportion figures. Aspiring artists who feel intimidated drawing figures will especially love Davenport’s amazingly easy technique, developed while she worked as a fashion illustrator. It involves using equal-size hearts to build the body’s structure, and the results are astounding. In Fabulous Figures, Jane lays out the basics and walks you through working with different mediums; drawing the head, face, clothing, hair, and features; and constructing figures inspired by fashion, fantasy, life drawing, and more. 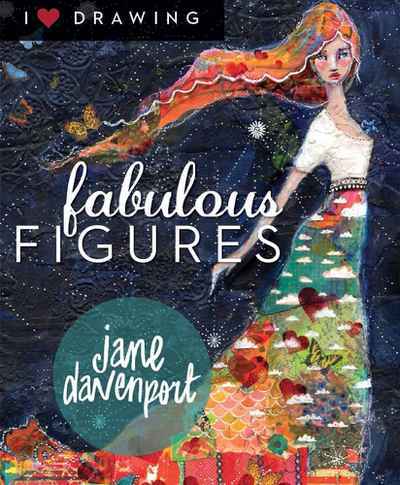 Follow this link for a fabulous video on Fabulous Figures by Jane Davenport.